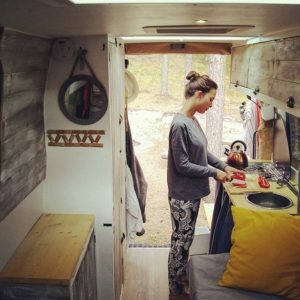 Chapter 8: Best Van to Live in - What Should I Get? It will take careful consideration when deciding on the best van to live in. 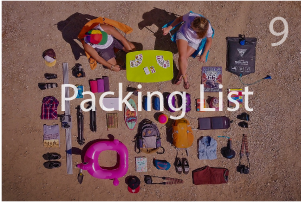 There are numerous things to keep in mind such as the number of people you are living with, whether or not you have pets, the amount of money you’re willing to spend, your handyman/handywomen ability, where you will be traveling to, your likelihood of becoming claustrophobic, your concern for safety, your driving skills, and more. A little research will go a long way, and we’re here to help! Easy to fix/easy to learn how to fix. Even if it’s not 4WD we were able to go on most dirt roads we needed to because of the weight of the engine in the back. Huge VW community. You’ll get help and meet friends everywhere you go. It drives slow. We see this as a pro while others wouldn’t. We have more time to admire the views when you have to stop every now and then to let the van cool down. Style baby! Less customization is needed because they’re already meant to be lived in. Can’t stand up if the pop top is closed (during a storm, if it’s too cold, you have to keep it low profile). Break often. But as we said, most of the time it’s an easy fix. Parts are less available than a standard van. Not as easy to get away with parking and sleeping in certain areas. We gathered statistics from surveying 725 van lifers and found cargo vans to be the most popular van to live in. This is no surprise as it’s practical, affordable, stealthy, easy to repair, easy to find on the market, and much more. You can get away with parking it in certain areas because it blends in with other vans. They will last many miles. Not too difficult to fix if broken down. 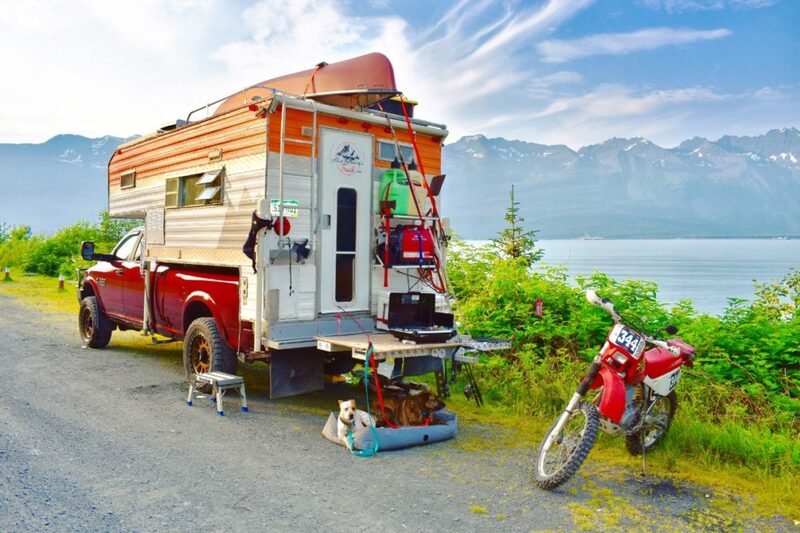 Better MPG compared to other options – RVs and Skoolies in particular. Much easier than others to convert into a camper. Some allow you to stand up inside. Don’t expect to get great mileage, especially on older models. Less character than something like a VW. Less natural light and viewing for some models because of fewer windows. Everything needs to be customized. 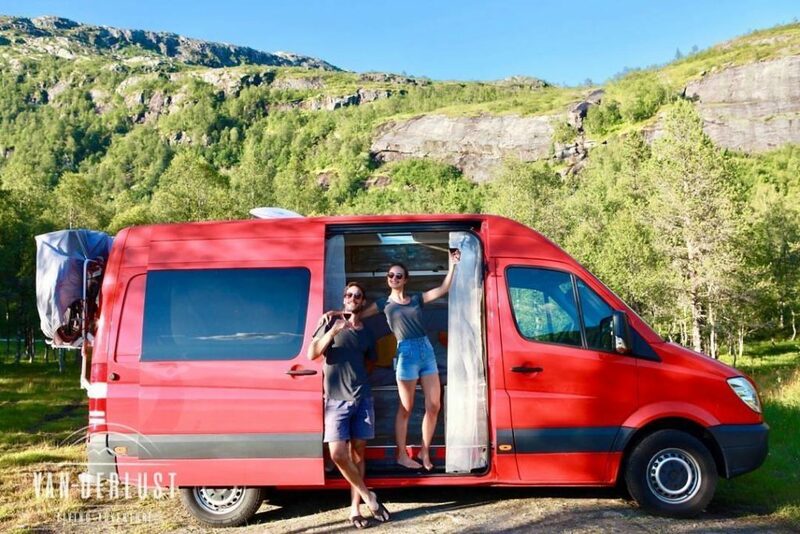 Passenger vans have more windows which can be nice because it makes the van seem bigger and provides for better views and more sun. Passenger vans are more difficult to convert because the inside of the vans have junk that you will want to tear out like seats and walls. 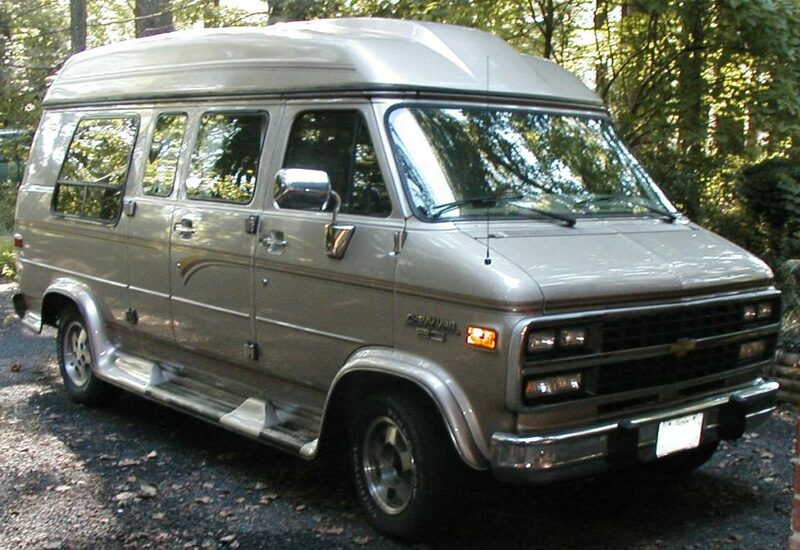 Cargo vans are easier to insulate than passenger vans because they typically have ribs on the van walls allowing you to stuff with insulation. Cargo vans also have fewer windows which allow for better insulation. Fewer windows also allow you to be more stealthy when sleeping at night. 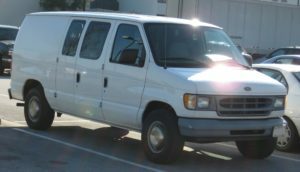 Some examples of low top vans include Ford Econoline, Chevy Express, and GMC Sierra. Removable living quarters to explore/use truck. RV attachment was not a big investment. If need be, you can sell the truck without selling the living quarters and vice versa. The heavy weight causes poor gas mileage. You won’t get away with parking and sleeping in non-prohibited areas. Price! 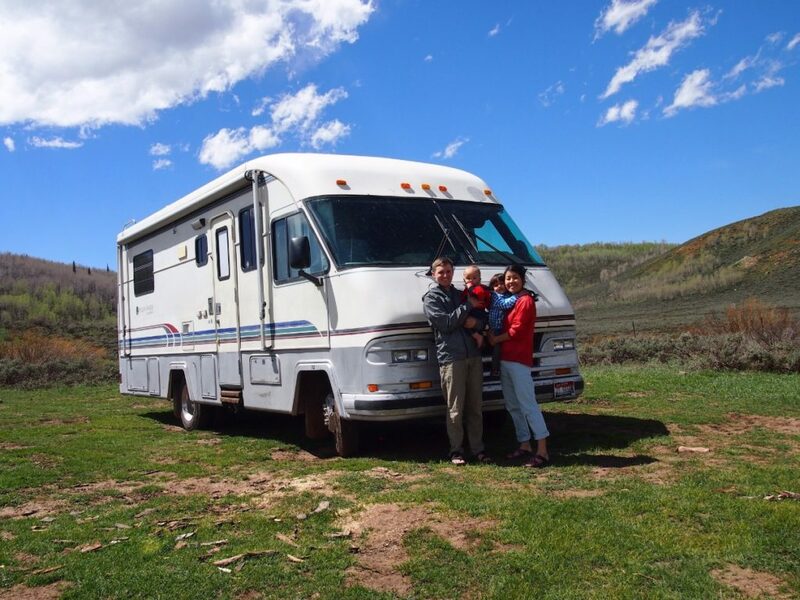 RVs depreciate very fast so you can find a great deal. Low mileage (It is very rare to see an RV over 100,000 miles.). Having a shower and a toilet all the time (especially with a kid being potty trained). More living space and storage. All the important and tedious parts of the build were done by professional. These include plumbing, electrical, insulation, walls, shower, toilet, stove, fridge, carrying tanks, etc. Limited access to some campgrounds. Hard to park and drive in major cities. RVs don’t look as cool as vans. They usually put off that retired old person vibe. Space! 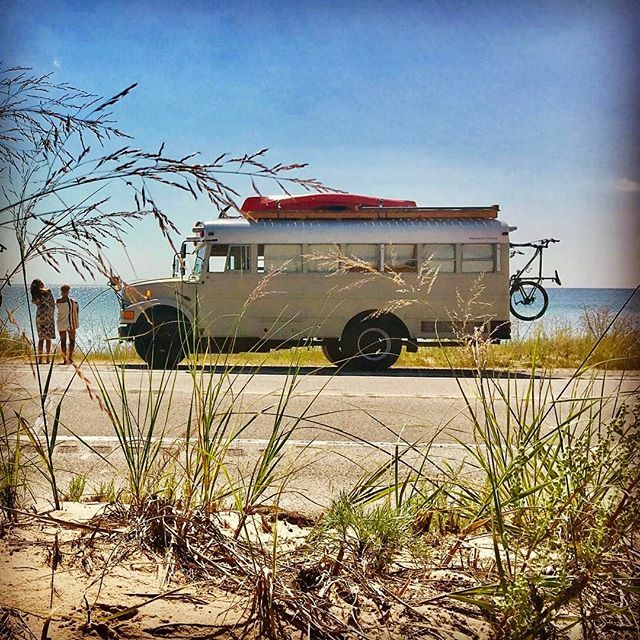 Our friend @mamabirdbus has two twin bunks, a king size bed, full kitchen and refrigerator, plus ample living and storage space. 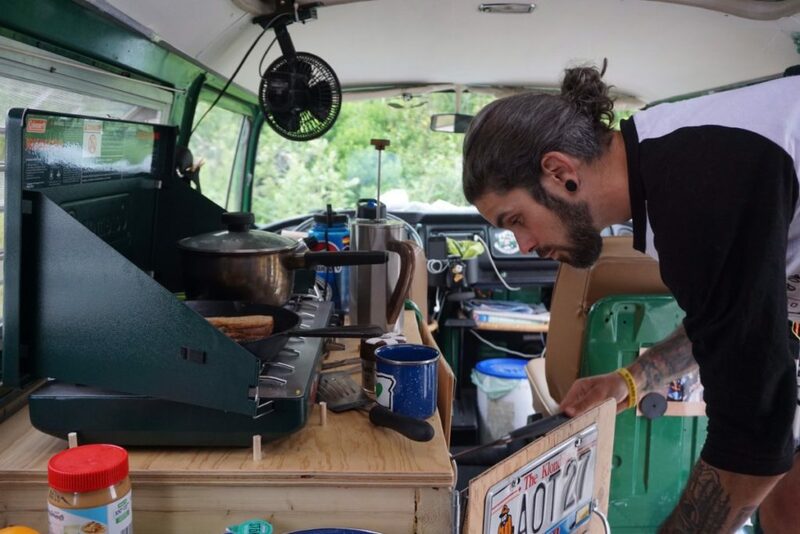 Not to mention a full bathroom with shower and a washing machine, which most vans don’t have. 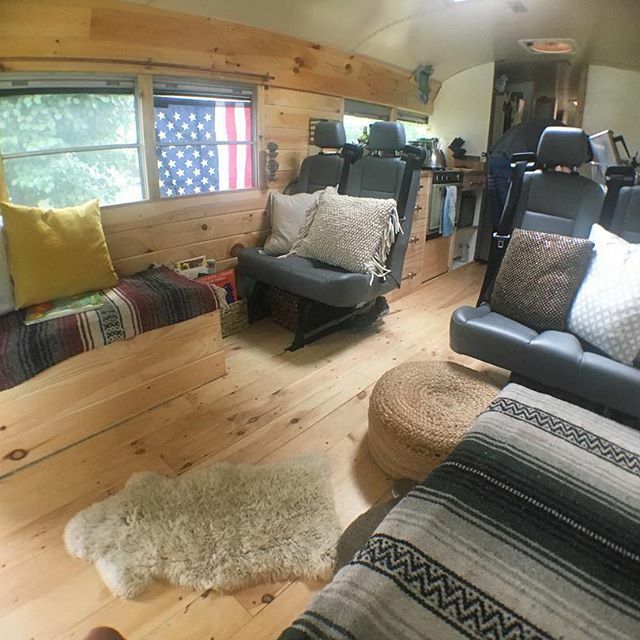 Our friend @alwayshomebus mentioned that it’s the perfect amount of space for their dog to roam. Safety and durability. School buses are made to carry people and have an incredibly sturdy steel frame that will last a long time. 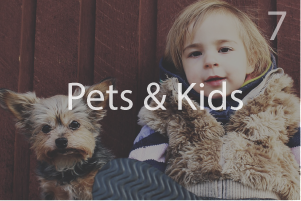 This is especially important for families with small children. Cool factor. I think this one is obvious… everyone loves a school bus! It will attract all kinds of friendly people. Size! Sometimes it’s difficult to maneuver in city streets or find parking. Insurance and registration can be very difficult to obtain at first. It took @mamabirdbus 4 trips to the DMV until it was figured out! Our friends @alwayshomebus mentioned that their van doesn’t have an easy way to charge electronic devices. This may not necessarily be a con because it allows you to disconnect from the world a bit more and appreciate the beauty around you. It’s easy to be seen when you’re looking for places to sleep at night. 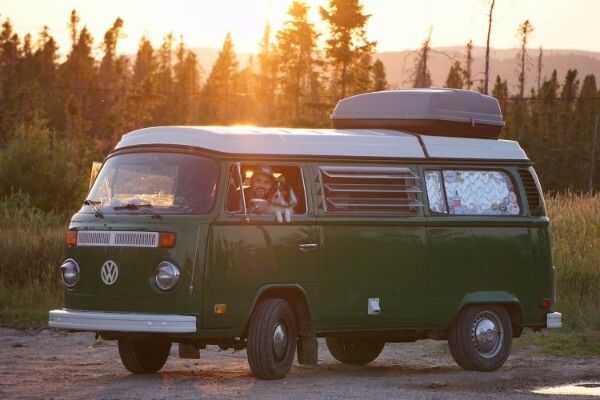 @Mamabirdbus has some really great advice that can apply to people living in either a bus or a van: Make the most of what you have. We camped in our bus for a long time before it was even close to finished. We took our time to save money and finish things when we could afford them or had the time. Now that it’s done we appreciate it all the more! Also, I would mention that you don’t have to spend a fortune to do a conversion. We found most of our supplies for free or cheap on Craigslist, eBay, and even picked up furniture on the side of the road to repurpose. We were then able to spend more money on other things like eco-friendly wool insulation, our solar setup, and our rooftop AC unit.